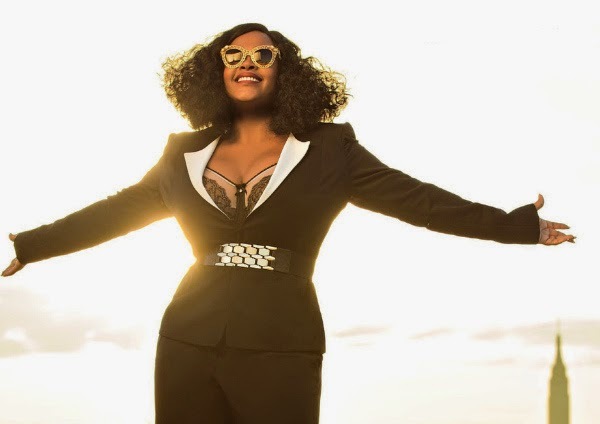 + Fool's Gold Rush In --- A cool Dorothy Ashby sample makes Jill Scott's latest single, the DK Punisher-produced, "Fool's Good" into a pristine summer anthem. So sunny and shimmering, that you can't even tell that its a sad little number about finding out your dude is a dud. Womp. I actually like this smooth little throwback R&B number better than the Blues holler of "You Don't Know". Still no word on if Scott is releasing a brand-new album, but the chances are looking mighty good. To add to the festivities, Scott also announced tour dates for a summer showcase, so start lifting up those sofa cushions in order to gather up those coins! + Burn Burn Burn --- Speaking of summer...The City of Angels duo Made In Heights have the perfect little summer ditty entitled "Slow Burn" that pops fresh, buttery, and crisp like some Redenbacher's. Be on the look out for their album, Without My Enemy What Would I Do? on May 26th. + Who's Exploiting Who? --- Roisin Murphy's Hairless Toys is soon to arrive and silly me, I didn't realize that she had released a video for the spacious single, "Exploitation". As one would expect from Murphy, it's very stylish, wickedly weird, and dark, as the Irish art house queen steps into the wobbly heels of an actress on the brink of a breakdown. For some reason the vid reminds me of the campy Natalie Wood film, Inside Daisy Clover, just without the showtunes and a hunky young Robert Redford. Still you gotta watch this in order to marvel at Murphy's talent for peeling and eating a hard-boiled egg, because one never looks that stylish or that happy... // Bonus material: Murphy also recently sat down for an interview with BBC 6 where she discusses some of her favorite electronic albums, and its well-worth the listen. + Baby, She Ain't Me --- Sinead Harnett is serving up some B-I-G vocals on her acoustic rendition of single, "She Ain't Me" for VEVO's DSCVR channel. Personally, this track doesn't come near "No Other Way" and "Paradise" in terms of inventiveness (it sounds like a lot of the "you lost a good thang when you dumped me" songs I've been hearing from the UK ladies as of late...), but this particular version packs more punch and lets people know that amid all those synth trappings, Harnett's voice rings true. + Oh Baltimore --- Now this is how you blend activism and artistry...Along with his backing band, 3rdEyeGirl, Prince will perform a special concert event in Baltimore on Mother's Day to bring healing, hope, and purple funk to the city after it rose in riots and protests in the wake of the death of Freddie Gray. The 'Rally 4 Peace' event is rumored to feature "several industry superstars" with proceeds going to various charities in the city. If you won't be able to catch the show, TIDAL is trying to lure people to their streaming service as they will provide live audio of the event...what, y'all couldn't spring for video too? 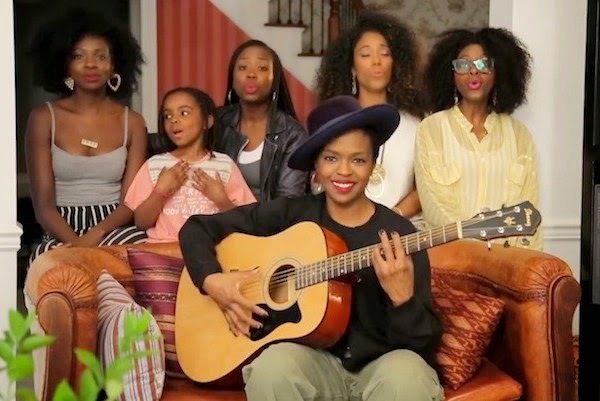 + Doo Wop (That Thing) --- Upon missing a concert in Lagos, Nigeria, Ms. Lauryn Hill dropped a loving apology in the form of a video where she performs an acoustic version of her classic hit, "Doo Wop (That Thing)" with some special guests in tow. Funny how she never issued summery and smiling visual apologies like this when she held up concerts in the US... :-/ In even brighter news, Hill's iconic, The Miseducation of Lauryn Hill just got more iconic-y (made that word up), as the Library of Congress announced that it'll be adding the album to its collection for being "culturally, historically and aesthetically significant.". In sadder news, a follow-up to this album will cease to happen so we all should stop kidding ourselves. + Rawk Mom --- Meryl Streep can pretty much do anything, and for her upcoming film, Ricki & The Flash she'll morph into a Janis Joplin/Heart's Ann Wilson/Grace Slick-esque rocker who returns home to the family she abandoned years ago. Though this film has a nice Dorothy Allison's Cavedweller ring to it, from the trailer it doesn't look half bad, I mean, it's got Meryl AND the goddess that is Audra McDonald co-starring, plus Diablo Cody wrote the screenplay, so its going to be a darkly humorous at least (was I the only one who enjoyed Young Adult?). Still the only downside is that it looks far from the slice of campy cheesecake that Mama Mia! was --- but we can't always get what we want in life, right? + Adam & Eve Sitting In A Tree --- Newbie on the block, Izzy Bizu enters the garden of 1960s pop Eden on her new single, "Adam & Eve". It's a faster-paced affair than her previous single, the glistening "Diamonds", as Bizu puts a little frisk in her voice and has it ride on the crest of bossy brass and kinetic percussion. It's some all-around fire that'll have you shaking your tush as if you were on Hullabaloo rockin' your best Biba attire. + Flying Closer To The Sun --- Another London artist I'm keeping tabs on is Obenewa whose single, "He" is an intoxicating mix of spastic synth soul and thundering house diva vocals. So boss.